The 1-Day Base Anytime Ticket entitles guest admission to Universal Studios Florida™ OR Universal’s Islands of Adventure™ theme park on any one (1) calendar day with NO Black Out Dates. The ticket will expire in full on the expiration date printed on ticket. 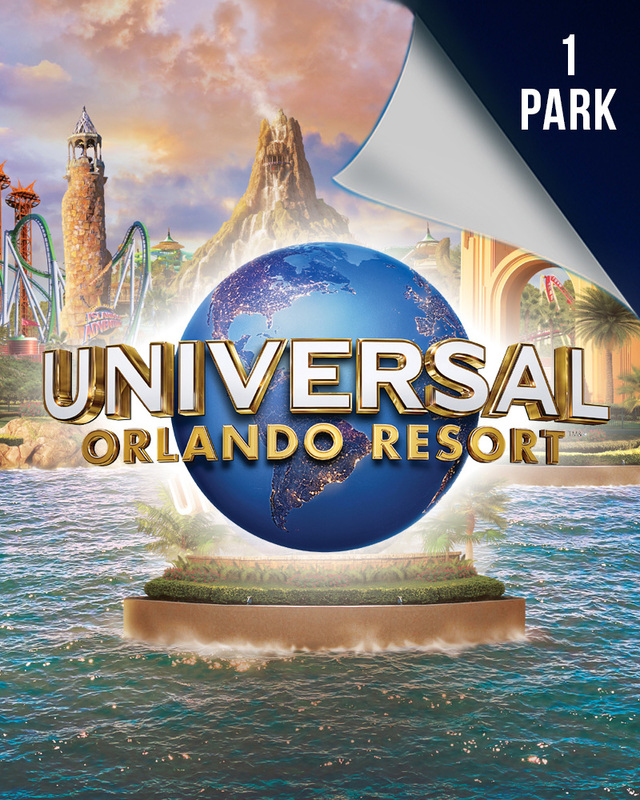 The 1-Day Base Ticket (Regular Season) entitles guest admission to either Universal Studios Florida™ OR Universal’s Islands of Adventure™ theme park on any one (1) calendar day during the Regular Season Dates. A calendar of the value dates can be found at UniversalTicketCalendar.com. The ticket will expire in full on the expiration date printed on ticket . The 1-Day Base Ticket (Value Season) entitles guest admission to either Universal Studios Florida™ OR Universal’s Islands of Adventure™ theme park on any one (1) calendar day during the Value Season Dates. A calendar of the value dates can be found at UniversalTicketCalendar.com. The ticket will expire in full on the expiration date printed on ticket. Only Park-to-Park Admission Tickets allow you to experience the magic and excitement of BOTH The Wizarding World of Harry Potter™ lands (The Wizarding World of Harry Potter™ - Diagon Alley™ and The Wizarding World of Harry Potter™ - Hogsmeade™) PLUS the Hogwarts™ Express*! Bundle this activity and SAVE! Call Now to Speak to a Ticket Agent.